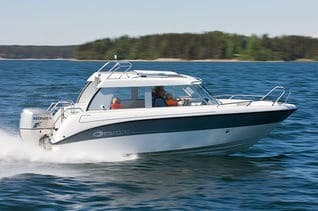 AMT Vene Oy (Advanced Marine Technology) is a successful boat manufacturer focusing on the serial production of motor boats for the Scandanvian and European market. They have a history going back more than 20 years and to date have produced almost 30 000 boats. They specialise in the 4 – 7 m size range. AMT use Manu Online as their corporate ERP solution. Each boat is manufactured as its own work order, mostly standard but sometimes with customer specifications.